A two bedroom Grade II listed cottage which requires updating and is available with no upper chain. Ideal for anyone looking to undertake a project, with open views to the front. 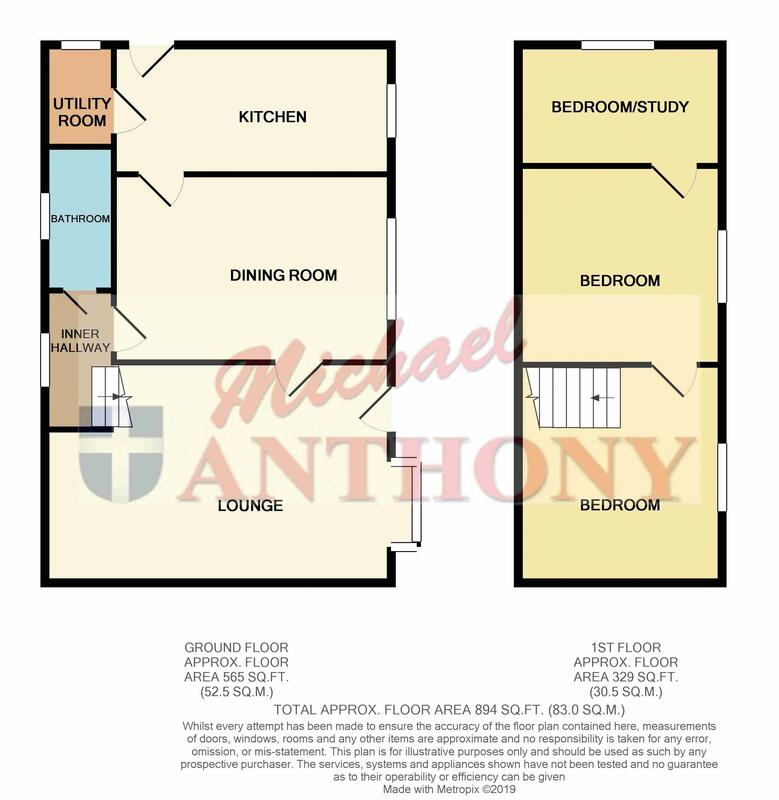 Offering lounge, dining room, kitchen, utility, bathroom, off road parking, extensive rear and side gardens. Window to rear, stairs rising to the first floor, radiator, door to bathroom. Window to front, radiator, doors to inner hallway and dining room. Bay window to front, radiator, understairs storage cupboard, fireplace with surround. Window to front, a range of storage cupboards at base and eye level, rolled edge work surface areas, radiator, stainless steel single drainer sink unit, splash back tiling, doors to lounge and utility. Window to side, rolled edge work surface areas, space for a washing machine. Window to front, radiator, door to bedroom two. Window to front, radiator, airing cupboard, door to study/dressing room. Window to side, radiator, access to loft void. Window to rear, a four piece suite comprising a bath, low level w.c., separate shower cubicle, wash hand basin, splash back tiling, radiator, extractor fan. Mainly laid to lawn, extensive rear and side gardens, shrubbed areas.